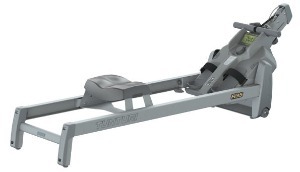 The Tunturi R35 Competence rower has a magnetic flywheel with a manually adjustable resistance system. The battery-operated 5.5" LCD display window shows time, distance, strokes, 500m split time, energy consumption, and heart rate. It comes with three training modes including Quick Start, Manual, and HR min/max limits. Frame Length/(Seat) Height: 78" x 20"
The Tunturi R35 Competence rower uses an adjustable magnetic braking system to provide tension for the stroke. The resistance system is simple to adjust manually using the rotary wheel on the frame. This variable resistance is ideal for users in any physical condition but is geared more towards beginners. The wide padded seat slides on twin rails which makes it stable enough for users weighing up to 300 pounds. The integrated swiveling footrests offer comfortable positioning while exercising, and the display is compatible with a heart rate monitoring chest strap (not included). The Tunturi R35 gets many positive reviews for its overall quality and smooth performance. It is similar to the R30 rower but has the updated frame that is also found on the R60. The rower folds up to save space and includes transport wheels for easy movement. The Tunturi R35 Competence rower from Finland is a nice seller in Europe but it not as widely available or well known in North America. It offers an ergonomic and functional design on a sturdy frame, and is made by a company known for its quality products. 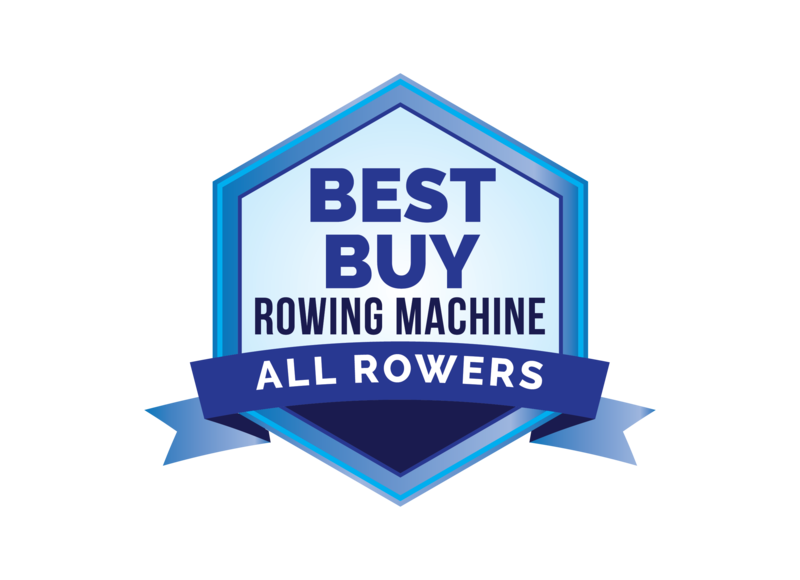 Since it is more difficult to find the R35 in the U.S., you might want to go with a German Kettler if you want a European brand, or check out the magnetic rowers from LifeCore that start around $699.